Two Chicago premieres. A fresh take on a classic. An acclaimed hit. Our 2018-19 season is coming soon. Learn more about this powerful season and become a subscriber today! For more than two decades, TimeLine audiences have demonstrated unparalleled passion for provocative, inspiring, and powerful productions that ignite dialogue about our place in history and inspire us to play a role in the future. With our 2018-19 Season, we are incredibly proud to announce four plays that uphold that tradition! This glorious, raw, and bittersweet look at one of opera’s most formidable talents was the Tony Award winner for Best Play in 1996. 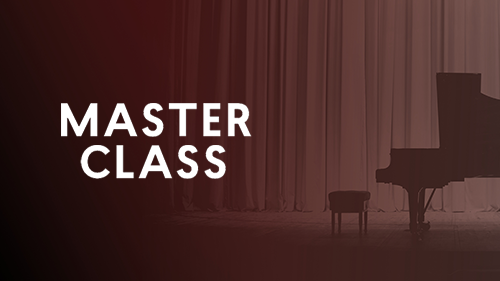 Witness a master class conducted by legendary opera diva Maria Callas. Glamorous, demanding, and unapologetically herself, Callas critiques and regales a new crop of opera’s finest. Both frustrated and amazed by the students thrust before her, she escapes into recollections of the glories and failures of her past, remembering her rise as one of opera’s biggest underdogs. This authentic and musically rich MASTER CLASS presents a portrait of a faded star who refuses to be anything but the indomitable woman she once was. TimeLine’s production will star Company Member Janet Ulrich Brooks, a six-time Jeff Award nominee for roles at TimeLine (including 33 VARIATIONS, A WALK IN THE WOODS and ALL MY SONS), where she mostly recently appeared as Queen Elizabeth II in the company’s extended run of Peter Morgan’s THE AUDIENCE, also directed by Nick Bowling. Other recent credits include VANYA & SONIA & MASHA & SPIKE (Jeff Award nomination) at the Goodman Theatre, WOMEN LAUGHING ALONE WITH SALAD (Helen Hayes Award nomination) at Woolly Mammoth Theatre in Washington, D.C., and the short film FOR A GOOD TIME. And the production will be music directed by six-time Jeff Award recipient Doug Peck, who previously music directed FIORELLO! and JUNO at TimeLine. Peck’s extensive credits include work around Chicago at Court Theatre, Goodman Theatre, Chicago Shakespeare Theater and many others, as well as regionally at theatres across the United States. A captivating and complicated tale about the intersection of family, responsibility, and progress at the height of the Civil Rights Movement. Bowzie Brandon, his wife Evelyn, and their best friends Tony and Sally-Mae see happiness on the horizon when Bowzie gets a scholarship to attend college and improve his family’s life. However, when the opportunity to become a Freedom Rider arises, Bowzie leaves his obligations as a husband and friend behind to join the fight against racism in the Deep South. TOO HEAVY FOR YOUR POCKET is a powerful look at the tenuous balance between security and risk, the bonds of love and friendship, and the personal cost of progress. Playwright Jiréh Breon Holder was recently named one of “Tomorrow’s Marquee Names, Now in the Making” by The New York Times. 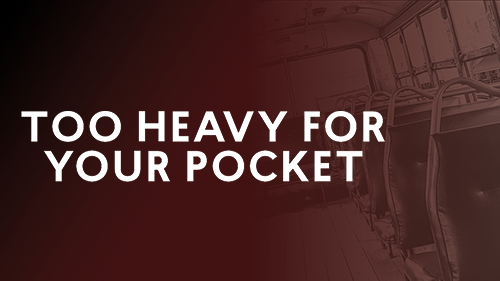 Previously seen at Atlanta’s Alliance Theatre and in an extended Off Broadway run at Roundabout Theatre, TOO HEAVY FOR YOUR POCKET was the recipient of the 2017 Laurents/Hatcher Foundation Award. Hailed “an exceptional work, one that will dive-bomb into your head and your heart” (Talkin’ Broadway) and a story “that examines life on both the margins and at the epicenter of historic change” (Stage Left), this stunning play “brings the early civil rights movement up close and personal” (Deadline). 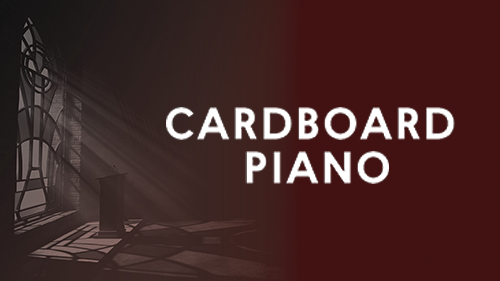 In addition to our 2018-19 four-show subscription series above, TimeLine is excited to be partnering with Firebrand Theatre—Chicago’s new musical theatre company committed to employing and empowering women—on Firebrand’s upcoming fall production of the Tony Award-nominated musical CAROLINE, OR CHANGE, featuring music by Jeanine Tesori (Fun Home, Violet), book and lyrics by Tony Kushner (Angels in America), and direction by Lili-Anne Brown. Rashada Dawan stars in the title role as Caroline. CAROLINE, OR CHANGE is set in Lake Charles, Louisiana: the end of 1963. America is changing. Caroline Thibodeaux is a mother of four and a maid, working for the southern Jewish Gellman family. Caroline struggles with changes monumental and mundane, and her relationship with the young, grieving boy who lives in the house she cleans. Riveting, moving and awe-inspiring, CAROLINE, OR CHANGE features music ranging from Motown to Klezmer, and storytelling from political to magical. This production will be presented at Firebrand’s resident home, The Den Theatre, located at 1331 N. Milwaukee Ave. in Chicago’s Wicker Park neighborhood. 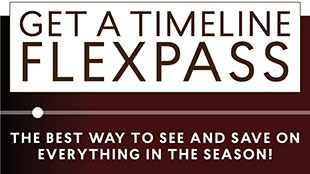 PLEASE NOTE: CAROLINE, OR CHANGE is not included in TimeLine’s FlexPass Subscription, but the partnership will include exclusive ticket opportunities for TimeLine subscribers and patrons. 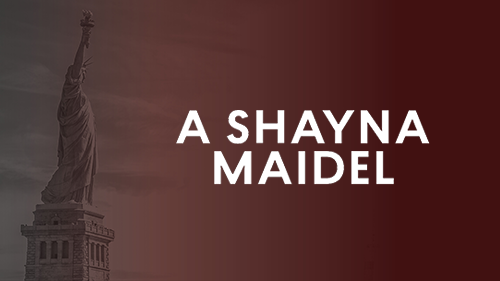 On behalf of all of TimeLine’s Company Members I am thrilled to announce our next season, featuring a timely new production of the gorgeous and poetic A Shayna Maidel, an intimate Master Class unlike any you’ve seen before, and acclaimed new plays from two of the country’s most exciting young writers with the resonant Cardboard Piano and the inspiring Too Heavy for Your Pocket. And we are so excited to partner with Firebrand Theatre, which has quickly become a dynamic force in the Chicago theatre community. It’s a season that will take us through five different eras and three different continents, exploring stories that probe history and shine a light on issues making headlines today. Relevant to our lives today. Inspiring us into the future.